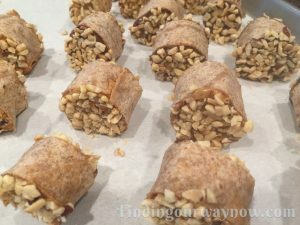 It’s always fun to experiment with different recipe ideas such as these Chocolate Banana Nut Bites. Sometimes the experiment comes out great, other times not so much. Although these are very simple to make, they did take a bit of fiddling to have them come together to my satisfaction. Chopped peanuts or nut of choice. Warm the tortillas on both sides in a lightly buttered 10-inch frying pan. Spread the Nutella evenly over the entire surface on each of the warmed tortillas. Sprinkle the cinnamon and nutmeg (if using; the coconut) evenly over the Nutella. Place a peeled banana at one end of each tortilla and roll it up gently but tightly. Some of the Nutella may ooze out, not to worry, reserve it for later use. Place the roll, seam side down on a small sheet pan and chill for 30 minutes or so. Once chilled, using a sharp knife, cut off a bit of each of the ends of the rolls and then cut each roll into 6 equal size pieces. Pour a bit of the chopped nuts in a small bowl. 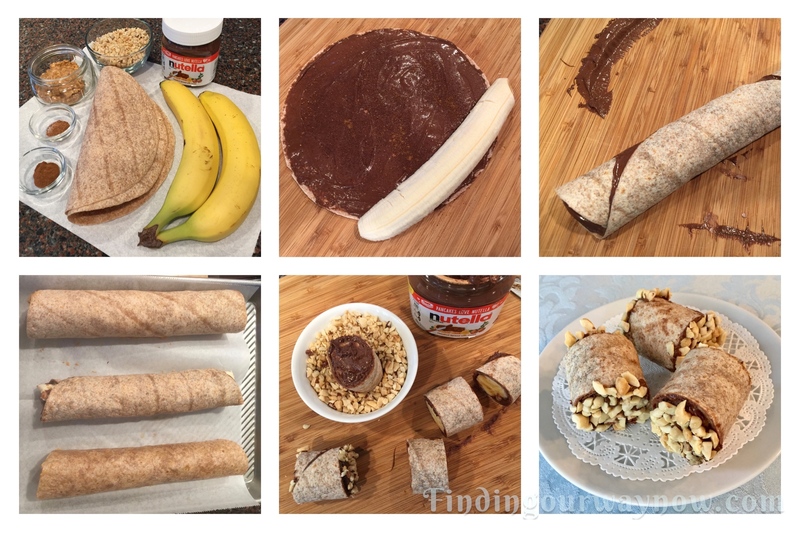 Spread a thin layer of Nutella over each of the cut ends. Press each end of the cut rolls into the chopped nuts to coat. You may need to use your hand to assist with coating the ends with the nuts. 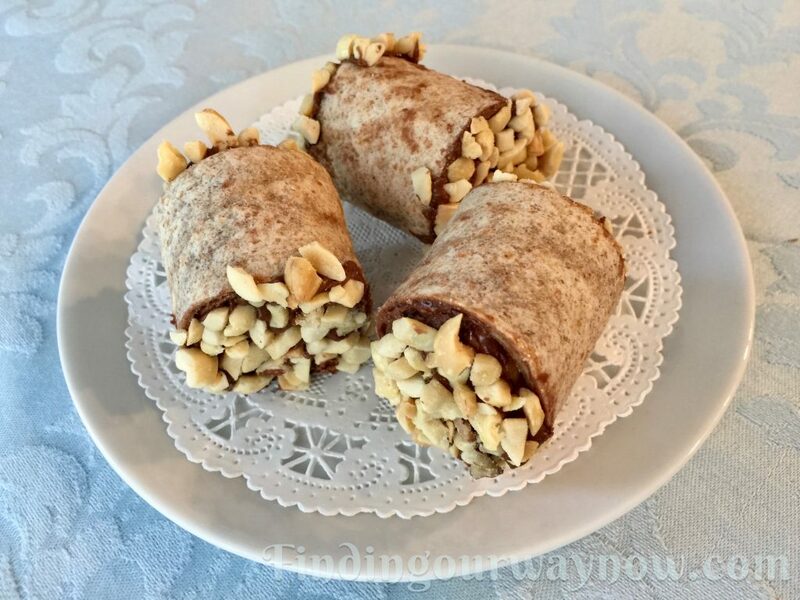 Serve immediately or place the Chocolate Banana Nut bites in an airtight container and refrigerate for up to 2 days. Notes: Always use a bit of butter to warm the tortilla. 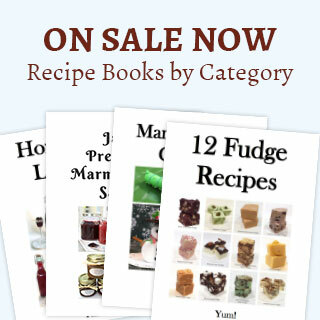 It will give these bites a touch more flavor that is very pleasing. You may use smooth peanut butter in place of the Nutella. Avoid any crunchy variety of peanut butter; it makes it hard for the banana to adhere to the surface of the tortilla. The peanut butter combo also is much less sweet. Can you tell I prefer the chocolate? There you have it, an easy peasy healthy treat for after school, after a workout, or anytime it suits you. Enjoy.